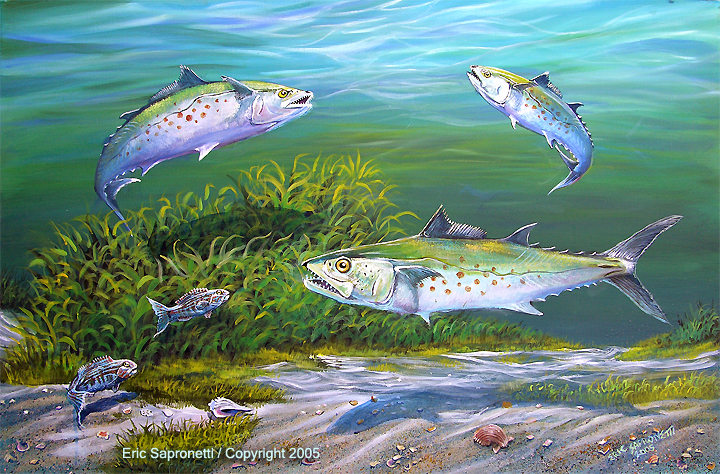 Spanish Mackerel are among my favorite fish to catch, since they put up quite a fight. They are also great subjects for my paintings. This is an acrylic painting on stretched canvas, size 36"x24". I have recently touched up some of the details, making a vast improvement on this painting.